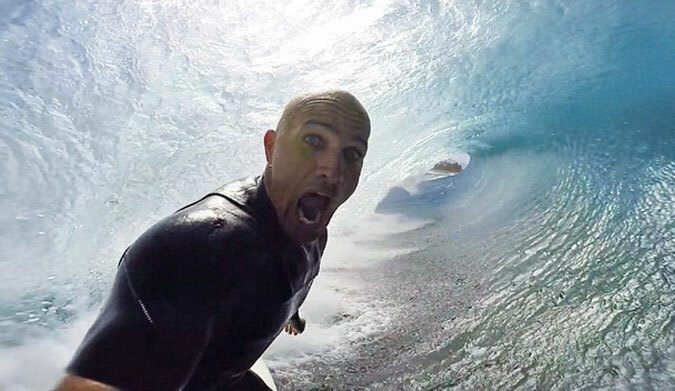 Kelly Slater has been setting himself to be as successful a business man as he is a surfer. In the last few years, he’s stuck his toes in the business pool on more than one occasion–from the now defunct VSTR brand and the ever-mysterious Kelly Slater Wave Co. to the more recent non-energy drink energy drink Purps and the non-surf brand surf brand Outerknown. And now rumor has it that he’s the majority stake holder in Firewire Surfboards. Firewire’s new TimberTek technology is actually pretty environmentally impressive, especially for a large company with a definite bottom line. While most large scale surfboard manufacturers–for cost reasons–aren’t able to entertain the idea of spending more on sustainable materials, Firewire is nutting up and making boards with sustainable wood deck skins and bio resin. While they’re still not going to turn into compost if you throw them in your garden, it’s big step in the right direction. And if it works (which it should, if surfers are as environmentally conscious as claim to be), then more and more surfboard manufacturers will hook their wagon to the green train.